Onboarding new employees is not only about greeting them. It requires a thorough approach in which the organization “sells itself” to the new hires while also screening potential employees as best as possible to ensure that they are the right fit for the organization. Employees are a more important resource than ever in business and companies don’t have the luxury of constantly replacing them. This is especially important today, as job hopping is a normal thing for millennials. Companies need to learn how to retain their employees and keep them for a long time if they want to be successful, there is even research that shows how these two correlate . One of the ways to do this is to adopt a comprehensive onboarding process that will ensure you’re adding valuable members to their teams. The latest technology has brought many valuable HR solutions that can be used for improving the onboarding process. 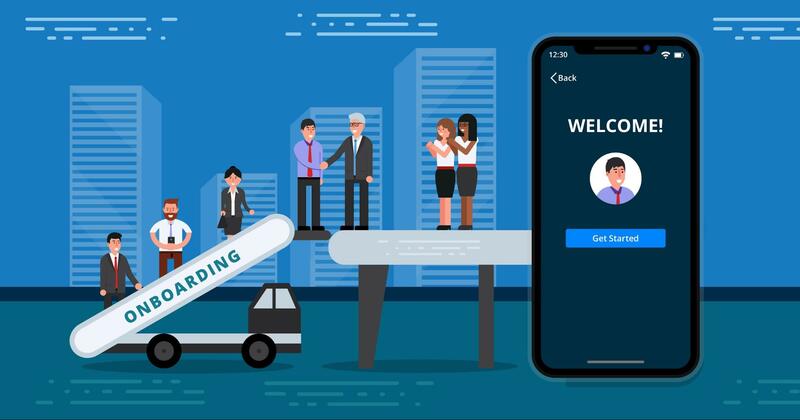 With the right tech, you can streamline onboarding and create a systematized approach where you can outline your onboarding requirement and quickly vet applicants to pick the best-suited people for the job. In this fast-paced age we live in, companies are struggling with so many different sources of potential new employees. Every company has a number of channels from which potential new employees can contact them and apply for a job. 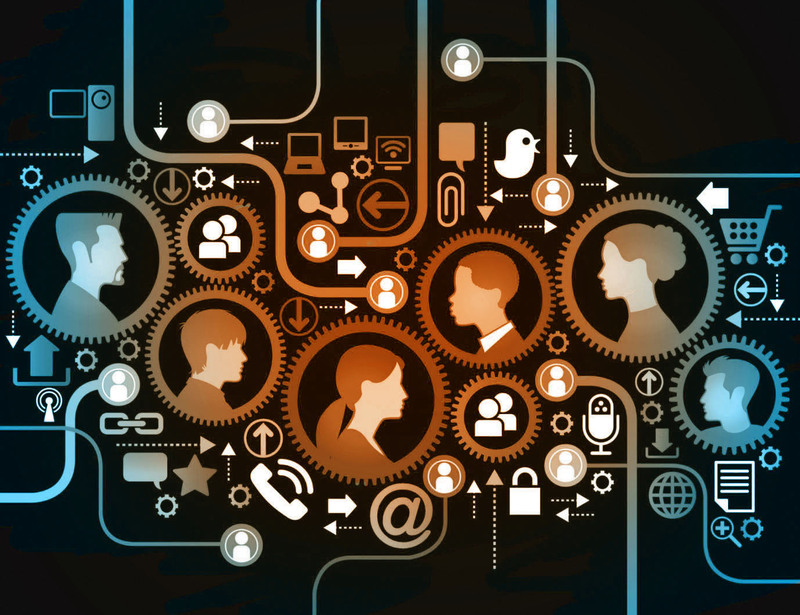 Even small organizations have multiple channels, not to mention big organizations. This creates many challenges. First of all, companies are unable to keep track of all the applications and communication that takes place across various channels. Secondly, they are unable to manage them properly and assess all of the applicants for proper onboarding while having a clear overview of all the candidates. Luckily today there are technological solutions such as Glider that can help manage all employee details and add their applications to a single database from which they can be managed. There is no need for an HR to switch back and forth between platforms, as everything will be in one place. On top of that, they have all the tools and features they need to do their jobs effectively. In case of bulk hiring and large volumes of applications, onboarding managers can use onboarding software with integrated AI to generate auto messages that will be sent to applicants accordingly. AI can also speed up screening and sourcing to understand job requirements and then find candidates which are suitable while shortlisting, ranking, and grading candidates properly so that the managers can assess them better. All of the information about a candidate will be stored next to their names. Assessing them is much easier while minding the process flow and constantly communicating with applicants. One of the most difficult tasks for onboarding managers is to go through a vast number of candidates and narrowing down the list to those that are qualified for the job position they are applying for. The way technology helps is that it first provides to HR managers all of the necessary information about a candidate, their experience, skills, and knowledge displayed conveniently so that the managers can instantly see what they are about. New HR tools have many features and functionalities that allow managers to test candidates and see objective results that can show them whether or not the candidates are a good fit for the organization. Rather than relying on their subjective feeling and knowledge, managers can get a score that will help them make the right decisions. Although having neatly stored information about candidates can help recruiters significantly, this still doesn’t guarantee that they’ve found the right people. It can help narrow down the list of candidates but from there on, it’s necessary to evaluate the candidates even further. Luckily, we now have access to software equipped with various personalized tests that can further help with evaluation. Onboarding managers can send aptitude tests and other types of evaluation content to candidates that seem most qualified. Apart from this, they can quickly personalize the tests based on the candidates’ information to learn how competent their candidates are on practical assignments. The managers can also put candidates in realistic situations that might happen on the job and learn if they would fit in with the culture of the organization. It’s also a good way to see what kind of personality their candidates have. One of the most important things when onboarding new employees is their experience. Technology can speed up this process by giving automation options to various manual tasks that can consume a lot of time and energy. Employees are often required to sit at their desks during the first few days at their new job and fill out various forms. This is something that nobody likes. With automation, you can send all the forms and applications employees need to fill out as soon as they are accepted, so that they can finish everything from home and send the forms back to you. At the same time, automation can help you go through them more quickly and see which employees are ready to join the team. This allows organizations to focus on other aspects of onboarding when a new employee comes along. Companies can try to engage new workers as much as possible. They can excite them about their new workplace, rather than having them do dull manual tasks. However, the automation goes both ways, as it can help onboarding managers as well. Instead of them sending policy education materials or video training content that a new employee needs, the software can be automated to do this for them and notify them when an employee has finished these tasks so that they can look at the employee’s performance and send relevant feedback. Automation allows you to create a streamlined onboarding process that starts before your new hire’s first day at work and the system will guide employees as they tackle tasks, while the necessary information about their progress is delivered to the manager. Even though onboarding is a very important process that needs to be managed properly, it still doesn’t guarantee that the new additions to your workforce will stay with your business for a long time. This is why every organization needs to do a necessary follow-up after onboarding to further secure employee retention. Some even refer to this process as extended onboarding. Employees are more likely to stay with an organization for longer if they have the opportunity to hone their skills and learn new things. Offer employees online training, courses, lessons, and create a work environment where employees feel free to collaborate and share knowledge between themselves. Feedback is very important and it goes both ways. Managers need to give their feedback on employee’s performance, praise them, suggest changes, and criticize them when necessary. At the same time, employees need to give their opinion to managers about processes, workflows, and work organization so that that the management can improve as well. This shows employees that their opinions matter to the whole organization and that their input can contribute to seeing the changes that they want. Transparency can go a long way. Modern employees want to feel involved and keep themselves up-to-date with the company’s plans and goals. They want to have a sense of purpose at work and this is why the management should inform them about important new steps that the organization will be taking. You should show your employees how they’ve contributed to the latest results and how they can help the whole collective grow in the future. Creating a good onboarding process can help retain talented employees and keep them at the company for years to come. This is where new onboarding solutions can be very beneficial, so start investing in them as soon as possible. Consider the things we mentioned above and you will realize how important it is to use the latest software to improve the onboarding process.